Eligibility. 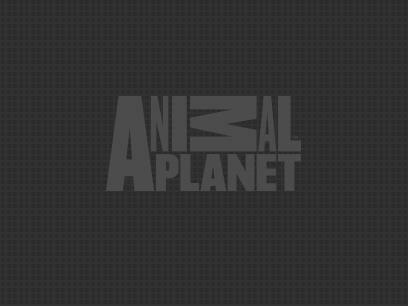 The Animal Planet Tanked Sweepstakes ("Sweepstakes") is open only to legal residents of the 50 United States and the District of Columbia and who have reached the age of majority in their state of residence and are at least 21 years of age or older at time of entry. Employees, officers and directors of Discovery Communications, LLC ("Sponsor"), its parent companies, subsidiaries, and affiliates (collectively, "Sweepstakes Entities") and the immediate family members (spouses and parents, children and siblings and their spouses, regardless of where they live) or members of the same households (whether related or not) of such individuals are not eligible. Subject to all applicable federal, state, and local laws and regulations. Void where prohibited or restricted by law. Participation in the Sweepstakes constitutes the entrant's full and unconditional agreement to and acceptance of these Official Rules and the decisions of the Sweepstakes Entities, which are final and binding. An entrant may be disqualified in Sponsor's sole discretion if he/she fails to comply with any of the terms of these Official Rules. Sponsor. Discovery Communications, LLC, One Discovery Place, Silver Spring, MD 20910. Timing. The Sweepstakes begins on Friday February 24, 2017 at 10:00 p.m. Eastern Time ("ET") and ends on Sunday February 26, 2017 at 11:59 p.m. ET ("Sweepstakes Period"). The Sponsor's computer or that of its designee is the official timekeeper for this Sweepstakes. How to Enter. During the Sweepstakes Period, entrants must visit animalplanet.com/tankedsweeps and complete the entry form. All complete entries will be accepted. Odds of Winning. The odds of winning the Sweepstakes depend on the number of Eligible Entries received. Winner Selection & Prize. On or about Sunday, February 26, 2017, Sponsor will conduct a random drawing from among all Eligible Entries received during the Sweepstakes Period to award one winner a trip to Atlantis The Palm, Dubai. Winner may be announced through visual graphic and/or audio recording during "Tanked" on Friday March 3. 2017 between 10:00 p.m. and 11:00 p.m. EST on Animal Planet. Winner must agree to have their first name, last initial and city, state of residence announced on-air. The prize consists of a trip for the winner and one guest to Atlantis, The Palm in Dubai, United Arab Emirates. AIRFARE TO AND FROM DUBAI IS NOT INCLUDED IN THE PRIZE. YOU MUST PROVIDE YOUR OWN TRANSPORTATION BETWEEN THE UNITED STATES AND DUBAI. Each travel prize will consist of one deluxe hotel room for six days and five nights; breakfast and lunch per person for five days; a four-course set dinner menu at Ossiano; and a behind the scene tour in the Lost Chambers Aquarium. Winner or winner's guest must be 21 years of age or older. All expenses not specified are winner's responsibility. Actual value will be determined by destination city, winner's residence and seasonal rates. Accommodations are subject to availability and certain restrictions; blackout dates may apply. Hotel and other transportation selected by Sponsor. Trip must be taken on dates specified by Sponsor in potential winner's notification letter (or other communication), or prize will be forfeited in its entirety. Winner and guest are responsible for obtaining all necessary travel documents. Travelers are responsible for any travel insurance. All other costs and expenses associated with prize acceptance and use not specified herein as being provided, including transportation, luggage fees, meals, souvenirs, and gratuities, are the sole responsibility of the winner. The approximate retail value of the prize is $4,900.00. Winner Notification. The potential winner will be contacted via email using the contact information provided at the time of entry. Inability to contact a potential winner, the return of any prize notification as undeliverable, or the failure of the potential winner to respond to the prize notification in 48 hours will result in the prize being forfeited and awarded to an alternate potential winner. The potential winner may be required to complete an affidavit of eligibility, liability and (where legal) publicity release, which must be returned within time period specified in the notification letter or, at Sponsor's sole discretion, an alternate potential winner will be selected. By accepting a travel prize, the potential winner represents that he/she understands that travel, whether by plane, automobile, or other conveyance, or by foot, and in the air, contains some inherent element of risk of accident, illness, injury, loss or death, which may be caused by negligence, forces of nature, or other agencies, known or unknown. The winner further represents that he/she recognizes that such risks may be present at any time before, during and after the trip. In order to be considered a travel prize winner and partake of the enjoyment of this trip, the winner must be willing to accept the risk, and to confirm his/her acceptance to such risk in writing at Sponsor's request. Winner's guest, who must be 21 years of age or older, will be required to complete and return a liability and publicity release prior to issuance of travel documents. Winner or winner's guest may be required to provide hotel with a major credit card issued in one of their names to cover room security and/or incidental expenses. Release. By receipt of any prize, winner agrees to release and hold harmless the Sweepstakes Entities and its prize suppliers, distributors, and advertising/promotion agencies, and each of their respective parent companies and each such company's officers, directors, employees and agents (collectively, the "Released Parties") from and against any claim or cause of action, including, but not limited to, personal injury, property damage, or death arising out of participation in the Sweepstakes or receipt or use or misuse of any prize. Released Parties are not responsible for: (1) any incorrect or inaccurate information, whether caused by entrant, printing, typographical or other errors or by any of the equipment or programming associated with or utilized in the Sweepstakes; (2) technical failures of any kind, including, but not limited to malfunctions, interruptions, or disconnections in phone lines or network hardware or software; (3) unauthorized human intervention in any part of the entry process or the Sweepstakes; (4) printing, typographical, technical, computer, network or human error which may occur in the administration of the Sweepstakes, the announcement of the prizes or in any Sweepstakes-related materials; (5) late, lost, undeliverable, damaged or stolen entries; or (6) any injury or damage to persons or property which may be caused, directly or indirectly, in whole or in part, from entrant's participation in the Sweepstakes or receipt or use or misuse of any prize (including any travel/activity related thereto). Released Parties are not responsible for misdirected or undeliverable entries or for any technical problems, malfunctions of computer systems, servers, providers, hardware/software, lost or unavailable network connections or failed, incomplete, garbled or delayed computer transmission or any combination thereof. You agree to indemnify and hold the Sweepstakes Entities harmless from any and all claims, damages, expenses, costs (including reasonable attorneys' fees) and liabilities (including settlements), brought or asserted by any third party against any of the Sweepstakes Entities due to or arising out of your Entry, or your conduct in creating an Entry or otherwise in connection with the Sweepstakes, including but not limited to: claims for trademark infringement; copyright infringement; violation of an individual's right of publicity or right of privacy; or defamation. General Conditions. By entering the Sweepstakes, entrants agree to comply with and be bound by these Official Rules. Failure to comply with the Official Rules may result in disqualification from the Sweepstakes. Sponsor reserves the right to cancel, suspend and/or modify the Sweepstakes, or any part of it, if any fraud, technical failures or any other factor impairs the integrity or proper functioning of the Sweepstakes, as determined by Sponsor in its sole discretion. If terminated, Sponsor may, in its sole discretion, select a winner from all non-suspect Eligible Entries received prior to such event. Sponsor reserves the right in its sole discretion to disqualify any entrant it finds to be: (1) tampering or attempting to tamper with the entry process or the operation of the Sweepstakes; (2) violating the Official Rules; (3) violating the terms of service, conditions of use or general rules or guidelines of any Sponsor property or service; or (4) acting in an unsportsmanlike or disruptive manner, or with the intent to annoy, abuse, threaten or harass any other person or whose acts or deeds (actual or perceived) would or might be deemed detrimental to Sponsor's reputation, as determined by Sponsor in its sole discretion. Any attempt by any person to deliberately undermine the legitimate operation of the Sweepstakes may be a violation of criminal and civil law, and, should such an attempt be made, Sponsor reserves the right to seek damages and other remedies (including attorneys' fees) from any such person to the fullest extent permitted by law. Sponsor's failure to enforce any term of these Official Rules shall not constitute a waiver of that provision. All interpretations of these Official Rules and decisions by Sponsor are final and binding in all matters related to the Sweepstakes. By participating, entrants agree to permit Sweepstakes Entities to use his/her name, photograph, likeness, statements, biographical information, voice, voice likeness and city and state address for advertising, publicity and promotional purposes in all media, including but not limited to on air and online, in perpetuity, without compensation (unless prohibited by law) and agree to execute specific consent to such use upon request. Normal Internet access and usage charges imposed by your online service provider will apply. If you participate from your mobile phone, such activity will be subject to the charges pursuant to your wireless service provider's rate plan. Please consult your wireless service provider for more information. Governing Law. This Sweepstakes is governed by the laws of the State of Maryland, with jurisdiction and venue in Montgomery County, Maryland, and all claims must be resolved in the courts of Montgomery County, Maryland. Winner List. To receive a list of winners, mail a self-addressed, stamped envelope to be received by Monday, March 13, 2017, to Animal Planet's Tanked Sweepstakes Winner List, One Discovery Place, Silver Spring, MD 20910. (C)2017 Discovery Communications, LLC. All rights reserved.